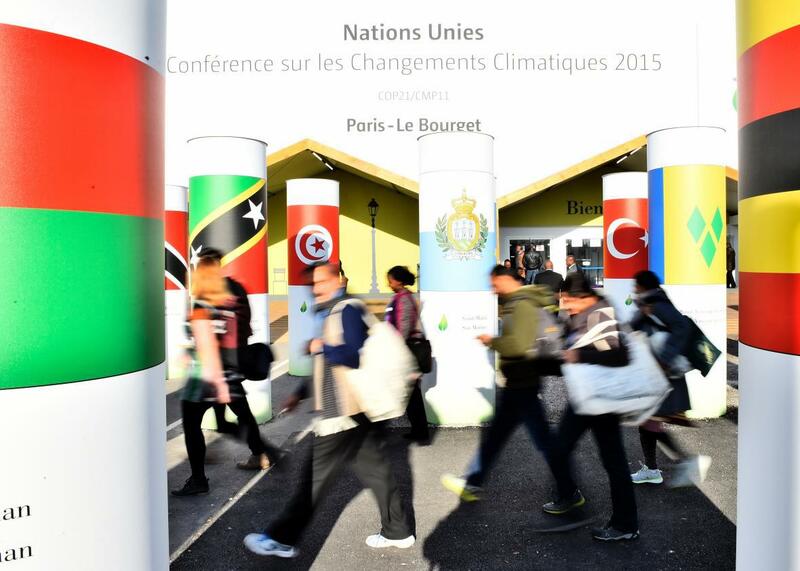 Follow the Paris COP21 climate talks live via Google Docs. People walk by the entrance of the Paris climate change talks, Dec. 3, 2015. If you’re not inside, the only way to follow the negotiations in realtime is by Google Doc. As the first week of the Paris climate talks wraps up, negotiations are getting increasingly tense. There’s a Saturday evening deadline for a complete draft of the agreement that world leaders are prepared to sign in just a week, and hundreds of items still need to be agreed upon. Since the current line-by-line negotiations are technically happening within the Ad Hoc Working Group on the Durban Platform for Enhanced Action (see Slate’s jargon-buster here), not the larger Conference of the Parties to the Framework Convention on Climate Change, they aren’t being streamed in a public webcast. It’s quirks like this that can be frustrating to journalists, activists, policy experts, and government officials in Paris and around the world. What’s worse, in recent months a coalition of relatively wealthy countries, with the blessing of the U.N. meeting chairs, have voted to exclude nongovernmental observers from the room. That means anyone who is not an official negotiator—including journalists—is shut out and watching the talks on closed-circuit monitors within the conference center. It’s not totally clear why this has happened, as official observer organizations, of which there are hundreds, have formed a critical role in the past. At the Copenhagen talks in 2009, which were widely regarded as a failure, a group of activists attempted to disrupt the negotiations out of protest. Maybe the organizers of the Paris talks are worried about a repeat. Enter Hamish Laing and Ryan Mearns, two New Zealand–born university students, who have traveled to the Paris talks as part of the Aotearoa Youth Leadership Institute and are spending most of their time camped out in an overflow room just outside where the negotiations are taking place. The pair have emerged as unlikely heroes, maintaining a constantly updated Google doc that is likely the only publicly accessible, nearly comprehensive record of the current negotiations. Interspersed with GIFs and snarky hashtags, it’s also quite simply the most readable transcript of U.N. deliberations I’ve ever seen or could even imagine. It’s also having a real impact, as a source for journalists and other closely following the talks. Andrew Freedman, Mashable’s science editor and a veteran of the U.N. climate talks, told me that he’s used the “very valuable” document to gather information for his own Paris stories. The Google doc, he said is “so low tech that it’s surprising how well it works and how widely it’s shared. Shows that the simplest solution often is the best one.” Over the course of the last day or two that I’ve been monitoring it, dozens of anonymous users are reading at any given moment. Even Laing and Mearns can’t keep up with all the negotiations currently ongoing in Paris—lower-level spinoff groups were entirely closed to the public this week, without even closed-circuit broadcast. Mearns said that was a shame: In one spinoff group this week, “key parts like intergenerational equity were lost.” Since there’s no record of the discussion, no one knows which country or group of countries supported the change in wording.